While soy crops represented 37,000 hectares in 1971, they now account for more than 60 percent of the arable land in Argentina. For years, glyphosate has been considered to be among the safest pesticides by international agencies such as the United States Environmental Protection Agency (EPA). Today, it’s used in more than 140 countries worldwide and has been praised by a wide array of farmers, who rely on it to achieve a better yield by killing weeds. Foto: CEDOC/PERFIL. It is the most widely used herbicide in the world. In Argentina, it accounts for half of the agrochemicals used here each year, with farmers spraying it by the gallon. 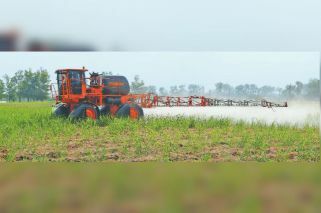 Yet it is also the one of the most controversial weed-killers in the world, one that is under increasing levels of scrutiny. Backed by many farmers, but questioned by many doctors and civil society leaders, the divide over glyphosate is as wide as it has ever been, prompting a debate on the future of agriculture in the 21st century and beyond. Glyphosate is used on more than 28 million hectares in Argentina, land sprayed with about 300 million litres of glyphosate per year, according to statistics from an organisation called the Doctors Network of Fumigated Towns. It has been used here since 1996, after the government authorised commercial sales of genetically modified soybean seeds resistant to glyphosate. Locally, its importance has grown in line with production capacity. Argentina is the third largest exporter of soy in the world, after the United States and Brazil. While soy crops represented 37,000 hectares in 1971, they now account for more than 60 percent of the arable land in the country. That expansion of arable land has led to a direct increase in the use of glyphosate across the country. Based on the number of litres used and the country’s population, Argentina is now estimated to be the country with the largest use of glyphosate in the world. “The role Argentina now has on supplying commodities for the world is directly linked to the expansion of the current crop system, based on the use of glyphosate. 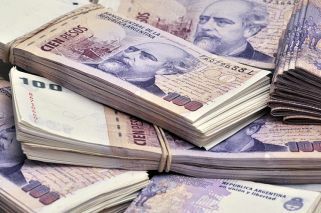 It’s a billion-dollar business and it requires to use more and more every day,” Fernanda Sández, a journalist and the author of the book La Argentina Fumigada, told the Times. The business is certainly growing. While Monsanto, the US biotech giant, used to be the exclusive producer of glyphosate, it now holds only 30 percent of the market. Syngenta, BASF, Bayer, Dupont, Dow, Agrosciences, Atanor, YPF and Nidera also produce the herbicide, which is considered largely responsible for the expansion of agricultural capacity in Argentina. Glyphosate is currently used not only in soy crops but also for growing cotton, maize, critics, yerba mate, wheat, vine, apples, pears and quince, among other crops. Traces of the herbicide are routinely found in tests of foodstuffs, water, topsoil, and human urine, in amounts way above safety limits set by regulators. “We regularly measure the land and water of towns in the country and glyphosate is dominant, [found] some 80 times more than other products. It’s not the only herbicide used in the country but it’s the one that is always present,” Medardo Ávila Vázquez, a doctor and the coordinator of the Doctors Network of Fumigated Towns group, told Times. The expansion of agriculture in the country has led to soy crops and the use of glyphosate reaching the edge of many urban towns. 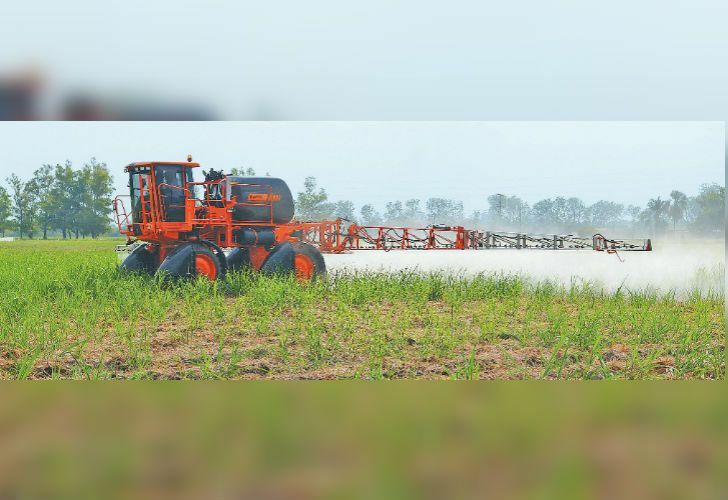 Some citizens have started to protest, citing a large number of cases of cancer and malformations in their areas, which they blame on the spraying of the herbicide, just a few metres away from their homes. While around 20 percent of Argentines die from cancer, the figure can reach up to 50 percent in farming towns exposed to glyphosate, according to data collected by Vázquez and other members of the network. In the same regions and towns, the number of babies born with abnormalities has risen too, as have the number of twins or triplets born to others. “Glyphosate can lead to a wide array of health problems, [it can be] worsened when the herbicide is used alongside other substances. It alters the intestinal flora and can lead to hepatic [meaning related to the liver] problems and neurologic alterations, increasing the risk of malformations and diseases such as Parkinson’s and Alzheimer’s,” Damián Verzeñassi, a doctor and researcher at Rosario National University, told the Times. Since 2010, Verzeñassi and his team have been studying the health of more than 115,000 people in 31 towns from different provinces of Argentina. They say they discovered changes in health patterns since exposure to glyphosate began, finding high incidences of respiratory diseases and skin rashes, as well as higher cancer rates than national averages. These health problems reported by Vázquez and Verzeñassi have been backed up by findings from the International Agency for Research on Cancer (IARC) — the World Health Organisation’s (WHO) cancer agency — which classifies glyphosate as probably carcinogenic to humans. The IARC reached that conclusion after studies in the US, Canada, and Sweden, discovering that the herbicide had been detected in food, water and in the air long after it has been sprayed. The Buenos Aires Times contacted Monsanto for this article but the company decided not to comment. The late Andrés Carrasco was a doctor and head of CONICET, Argentina’s national research institute. In 2009, he concluded that glyphosate was highly toxic and that its exposure had serious effects on embryos. His research was questioned by Monsanto and by figures inside the US Embassy in Buenos Aires – according to a US Embassy cable leaked by WikiLeaks, the Embassy lobbied in favour of the company after the research was made public. Of late, the US multinational agrochemical firm has recently been targeted by the so-called “Monsanto Papers,” an investigation led by the French daily Le Monde, which looked at thousands of company documents. The newspaper’s articles have shown that Monsanto employees had been ghostwriting research studies that were fraudulently attributed to apparently “independent” academics, which were later presented as independent studies. Such revelations have led a group of countries and states to put the brakes on the use of the herbicide. France President Emmanuel Macron recently asked is administration to look for alternatives for glyphosate and vowed to ban it within three years, while the US state of California will require glyphosate to be sold with a label warning over cancer risks, starting in July. However, the European Union (EU) recently voted to reauthorise the use of the substance for five years, despite a petition by 1.3 million EU citizens last week calling for a ban. The approval fell far short of the 15-year licence the EU health commission had initially sought, showing divisions over the use of the herbicide. Civil society leaders and environmental groups in Argentina have called for an outright ban on the use of glyphosate, seeking to encourage a change in the way we grow our food. In Argentina, there are now more than 400 towns and cities with measures that restrict the use of glyphosate. The city of Rosario is the most recent addition to that list, having sanctioned a decree that banned the use of glyphosate. To date, Mayor Mónica Fein has not enacted or vetoed the decree, claiming she will work on a new project to gradually implement agro-ecological practices, an approach that brings ecological principles to bear in agro-ecosystems. Many experts are also backing that approach. The rising global population could be fed by agro-ecology, they claim, by adjusting our approach to take into account natural ecosystems, using local knowledge to plant a diverse range of crops. “Industrial agriculture is leading us to economic, social and environmental bankruptcy,” said Franco Segesso, a member of the Land Workers’ Union, which groups over 10,000 smallscale farmers. “Instead, we should be encouraging agro-ecology, which seeks food sovereignty, economic and climate resilience, larger biodiversity and pests control.” Some feel that this discussion is not yet welcome in Argentina. While the debate is beginning to be heard in many parts of the world, the use of glyphosate and the industrial-agricultural model is politically palatable in Argentina – on both sides of the aisle. The existing model is supported by the Mauricio Macri administration, as it was by the government led by former president Cristina Fernández de Kirchner. The government’s position has been underlined by the appointment of many high-level industrial agricultural sector representatives to governmental positions. Luis Etchevehere, the former head of the Argentine Rural Society (SRA), is now Agro-Industry minister, while María Beatriz Giraudo, the former head of the Direct Seeding Producers Association (AAPRESID), is now the Agro- Industry Ministry’s sustainable practices coordinator. In total, more than 30 government officials have links with agricultural companies such as Monsanto-Bayer, Dow-Du Pont, Syngenta-ChemChina and BASF, a recent report by Greenpeace found. “Argentina is failing to take care of the health of its population. We have entered into a consolidation phase of the industrial agriculture system, in which its main lobbyists have been appointed to positions in the government,” Verzeñassi said. “If it’s true that glyphosate has no impact, how can you explain the fact that Macri asked to set up an organic farm on the roof of the Pink House and at the presidential residence in Olivos, while the rest of the Argentines are condemned to eat poisoned food?” he said, referring to a recent initiative by the president. The Buenos Aires Times contacted the Agro-Industry Ministry but they refused to comment for this article. Asked recently about the use of glyphosate, Giraudo strongly backed the herbicide and said that European countries criticise it without “any scientific basis.” She said glyphosate is needed to secure global food supplies and that any prohibition would hurt levels of food production. “Pesticides and herbicides are necessary for the current agricultural model,” Landgraf agreed.